The Bank believes that research and knowledge are critical functions within the Bank. These functions and activities, carried out by a team of experienced economists in the Research and International Cooperation Department (RICO), provide information and knowledge through cutting edge development and trade-oriented research. Its audience are broad constituents of the bank’s stakeholders including shareholders, staff members, clients, investors, and strategic partners, African governments, banks (local, regional, and international) and other stakeholders of the bank. Other activities relating to research and knowledge comprise: the building and sharing of intellectual capital in the Bank and among its stakeholders; developing and facilitating the relationships between the Bank and other development and financial institutions; capacity building to improve the capacity of Africans for trade finance and to undertake trade negotiations. The department’s research and knowledge are published in books, journals, reports and occasional papers for dissemination to stakeholders. The Bank’s staff are provided with information resources on all aspects of African trade and trade finance by the Library and Knowledge Center. Currently holding over 3,000 titles, both physical and electronic databases, the library is implementing an integrated library management system to ensure that the growing number of books, journals, and other reference materials in the library are easily accessible by staff. 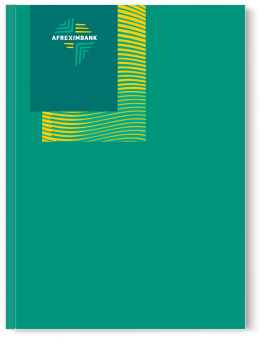 The Library and Knowledge Center is an Afreximbank initiative to strengthen the Bank’s overall response to opportunities and challenges related to trade and trade finance in Africa, and, in particular, to address the information needs of the Bank’s stakeholders. The Library and Knowledge Center aims to be the point of reference to support the operations, research and management activities of the Bank, so that the Bank’s know-how, information and experience is shared inside and (as appropriate) outside the organization with clients, partners and stakeholders, with the ultimate objective of serving as the provider of information resources relevant to Trade Finance. With the ever-evolving nature of global trade, new trade challenges have emerged for countries and policy makers. For example: non-tariff measures (NTMs) have increased sharply to protect domestic industries; services play an increasing role in trade; the financial crisis revealed significant vulnerability to external shocks from globally integrated markets; commodity markets continue to suffer from volatility, creating risk for commodity exporters; the proliferation of regional and bilateral preferential trade agreements create complicated incentive frameworks; logistics costs represent a significant share of trade costs; and other non-tariff regulations create de facto barriers to trade. As a result, both the private sector and policymakers want to know how to navigate the global trade landscape, so that they can increase their firms’ opportunities in global markets, support economic development, create more jobs through international trade and make their countries more attractive to foreign investors. The Bank recognizes that through an effective approach to Trade Policy and Market Access, it can play a critical role in influencing trade policy and market access to promote greater intra- and extra-African trade, in support of the structural transformation and integration of African economies into the global economy. The Bank further recognizes that developing capacity in the areas of Trade Policy and Market Access is essential to complement the provision of credit, risk bearing and advisory services.